Organising or attending a funeral of a loved one is naturally a very emotional and stressful time. Looking for badges and rosettes at such a time might not seem appropriate. However, more and more funerals are becoming more a celebration of the life rather than mourning the passing. Hence, if you are wearing something like a badge or rosette it is a great way to show solidarity and support for the family. As a result it is a rather fitting tribute to the deceased. So, with this thought in mind, there is an increasing tendency, where appropriate, therefore, for people attending funerals to wear badges. 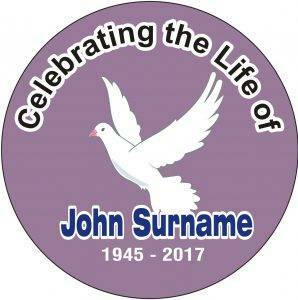 This can take the form of a photograph on the badge, with say, the dates and a name. It could be a generic design with the name. There might also be a short religious quote. 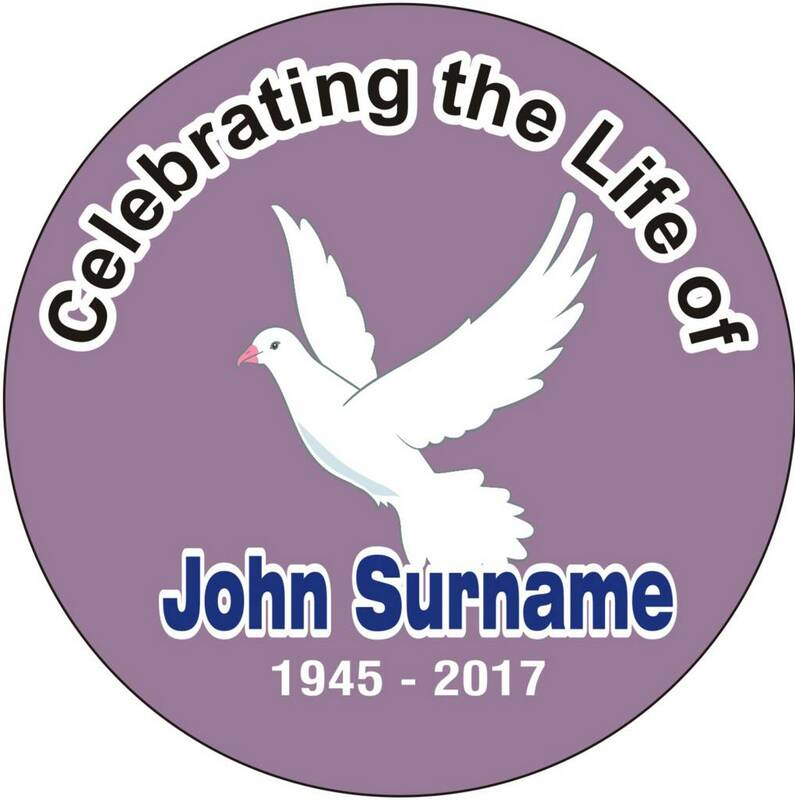 Whatever details are required we can add them to a memorial badge to suit the occasion. Increasingly at funerals and at a memorial service, we have supplied rosettes. The centre of the rosette is a badge. We base these on a design similar to the ones described above. 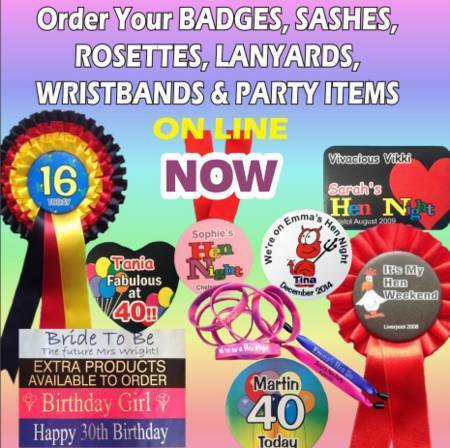 You can choose the colours of the ribbon for the rosettes to suit the person. We make all the rosettes from top quality ribbon. The ribbon is box pleated to produce a full rosette. We have a wide of range of colours that can be used on rosettes. For the two and three tiered rosettes, you can select the ribbon to reflect any particular colour preferences. This could be, for example, a favourite football team, which might be especially relevant. You could choose the national colours of a flag. In fact, It could be any colour combination that had special significance during their life. Either, if you wish to discuss badges or rosettes, or if you have a very urgent requirement then please feel free to call us. We can usually adjust our production schedule to accommodate urgent requirements.